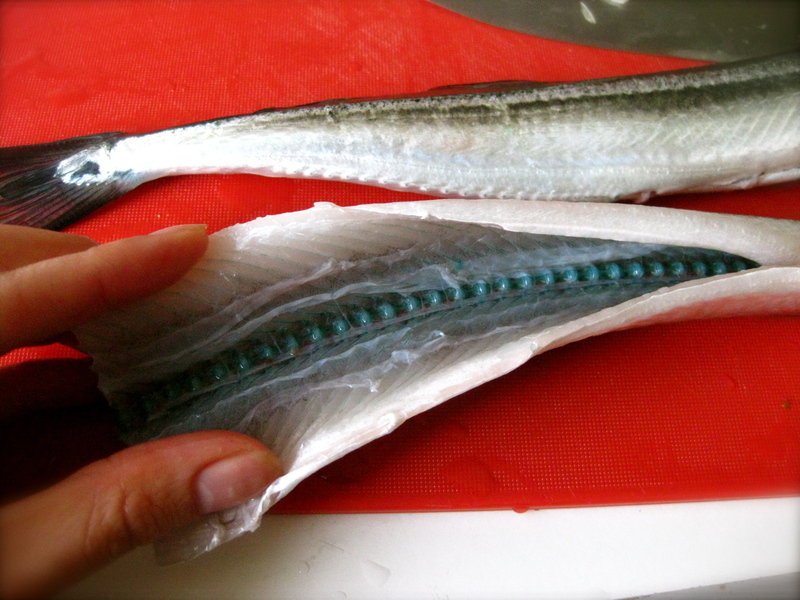 FINALLY, spring is here and the garfish has just started streaming into Danish waters. It’s time to hit the coast and scoop up some of these eel-like fishes that have a wonderfully textured meat similar to our beloved stingray (ohhh, would somebody pleeaseprettypleeeease bring me some grilled sambal stingray from Changi?). It’s such a pity that such a palatable fish hides some skeleton in the closet under its skin that often sends people’s faces scrunching up in fear and disgust when discovered. BLUE-GREEN BONES. Can you handle that? The housemate U had told me about this unusual colouring of its bones and scales before I had seen it for real, but I must admit, I still shuddered when I first set my eyes upon it. Of course, now I think it’s darn funky cool (I’ve saved some bones, anyone wants to make art with it?). The colour is due to the presence of the pigment biliverdin, which is a product of heme metabolism (same pigment responsible for the blueness of our bruises). In mammals, biliverdin is reduced and converted by enzymes to be secreted in bile, but many marine animals are believed (not yet strongly established in research) to lack the necessary enzyme for the metabolism and hence accumulate these pigments in their bones, muscle, skin, scale, etc…. 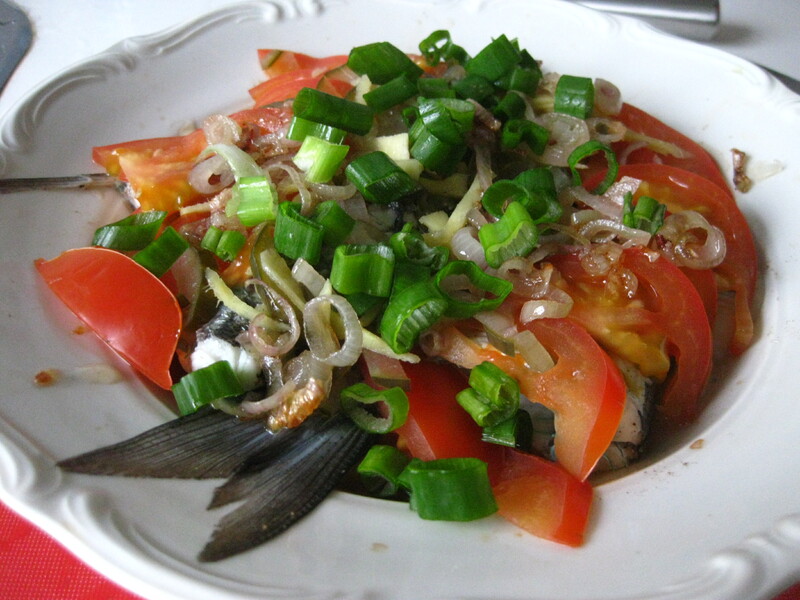 Teochew-style steamed fish recipe produced from eating mom’s cooking for 24 years. 1. Fill the base of a steamer with water and heat to a boil. Or mom’s suggestion: fill the base of a large pot with 3 cm depth of water and place a small bowl in it, on which you can set your plate of food upon. 2. Wash the scale and wash fish and rub with salt and pepper. 3. Make deep slices in the fish meat and insert slices of ginger. 4. Arrange slices of onion at the base of a soup plate and lay the fish on top. 5. Top fish with pickled vegetables, sliced tomatoes, shredded ginger and sprinkle soya sauce over. 6. Steam for 8-12min (until fish turns white and flakes easily). 7. Heat up oils in small pan and fry some shallots. Pour sizzling oil over fish and top the dish with chopped spring onions. 8. Serve with rice or rice porridge! 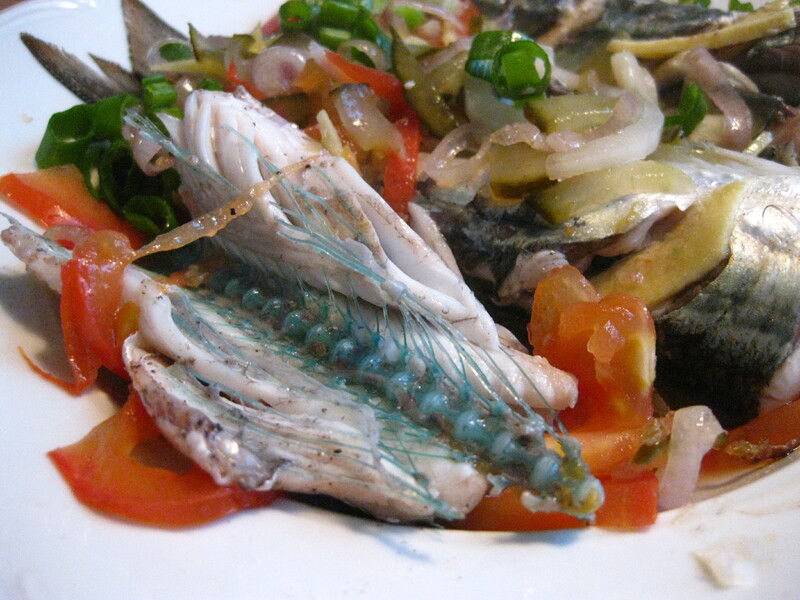 *spoon the sauce gathered at the bottom of the fish over your rice / porridge — MMMM!! Thanks to the Easter weekend, salmon was being cleared at ridiculously low prices at the supermarket Netto yesterday. My prized catch: 3 small fillets (~90g each) of fresh salmon for 21kr (SGD$5.30)! That is one heck of a price in Copenhagen. We all know that eating salmon is good for you because of all that essential omega-3 fatty acids, thus on such rare occasions that I get to eat a whole salmon fillet, I don’t want to waste any bit of it on my cooking vessel. Mom usually steams salmon with dark and light soya sauce, ginger, and fresh chilli (Mmmm!) in a small metal bowl, but here I don’t have half those ingredients nor the equipment. But I do have a microwave! 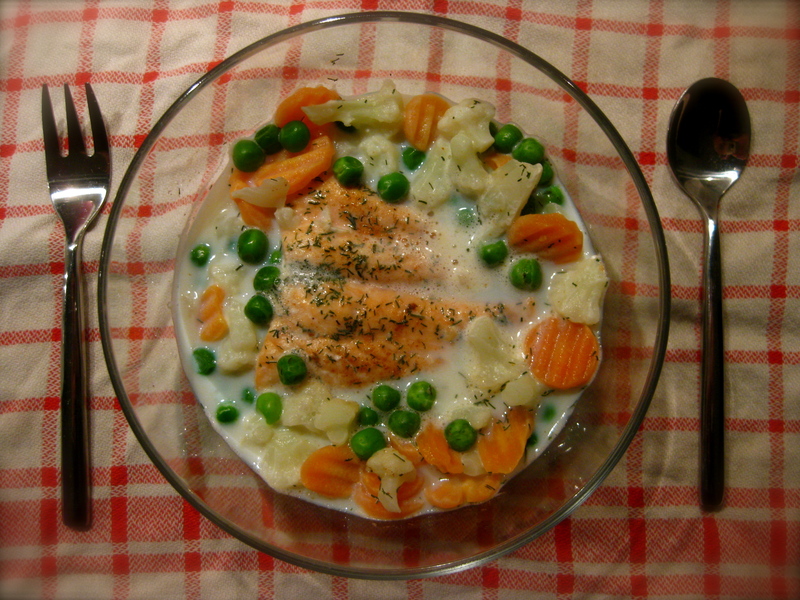 I did my own quick and light version of the typical salmon with dill cream by poaching the salmon with milk in a microwave-safe glass bowl. You need no butter for this recipe, for the aromas entrapped in the salmon oil fuses into the milk to make a nice savoury and light milky soup (think sliced fish beehoon soup in Singapore!). Balance the meal by topping up the bowl with vegetables before covering in plastic wrap and popping it into the microwave oven. The delicate flavours of the fresh salmon, dill and milk balanced really well, and the best part of it was that this only took me <10 min from the fridge to the table! If your salmon is fresh, the light flavours of the milk, dill and vegetables will let the fresh fish flavour shine through. Most of the time though, it’s frozen fish we students have, and in that case, it might be good to thaw the fish first in milk (which removes the fishy odours of degraded ATP nucleotides and proteins that are accumulated in frozen fish) before replacing it with new milk for the real deal, or to simply cook it with butter and lemon, of which the acidity of the lemon will reduce the amount of fishy amine volatiles that hit our olfactory receptors. Was that too much chemistry jargon for you? LOL. 5. Top with as much frozen vegetables as you like. 6. Cover bowl with plastic wrap, microwave on high for 2 min, swirl around the milk to evenly distribute the heat, pop it back into the microwave and cook until the flesh in the centre starts to turn light pink (another 1-2 min). Set aside (or take photos, in my case) and let the residual heat cook the fish through. 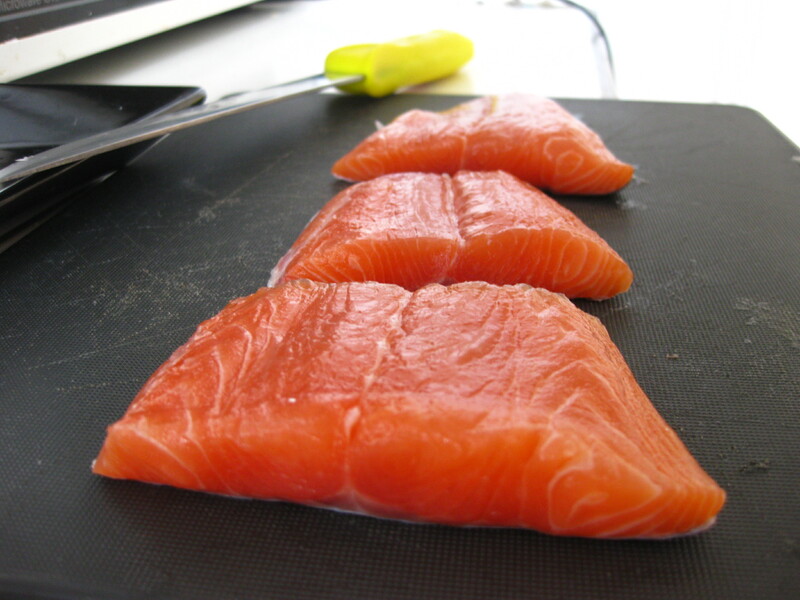 If you don’t want to eat the skin, leave it on and remove after cooking to retain more of the salmon fat that lies between the flesh and skin. If you don’t have a microwave, you can do it in a small saucepan / frying pan — lay the bottom with onions to prevent the fish from sticking to the bottom without adding extra oil and protecting the base of the fillet from direct high heat. 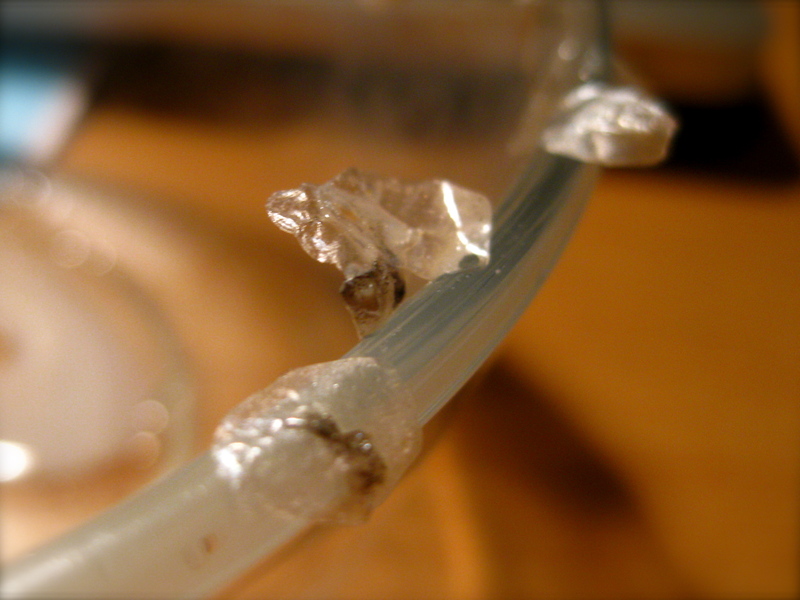 If your fish is frozen, thaw it first before microwaving (or defrost by microwaving), because ice heats up a lot slower than water in the microwave oven (very much lower dielectric constant) and the cooking of the fish will be too uneven — overcooked portions will be dry as tightly coagulated proteins squeeze out more of the water in them. You might want to put a few dots of butter on the fish to further enhance the taste. *I enjoyed my salmon with Swedish tunnbröd that I bought when I was in Lund for a research meeting earlier this week. How will you have yours?